Andy was a founding member of the firm, establishing Dystrup, Hoster & Jarot with L. Park Davis in 1977. Andy was a resident of New Lenox, Illinois, and received his Bachelor of Science degree in 1967 and his law degree in 1970 from the University of Illinois. He was an active member of the Will County, Illinois State and American Bar Associations. Andy served on the board of Attorney's Title Guaranty Fund, Inc. since 1976, was a past chairman of the Fund, and served as a board member of the ATG Trust Company and Lincolnway Community Bank. Andy was a regular speaker at the Real Estate Law Update for the Illinois State Bar Association and Will County Bar Association. 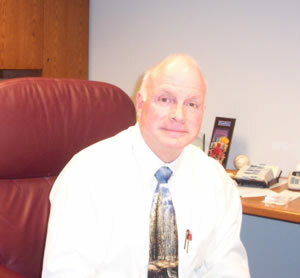 His primary areas of practice included Real Estate and Zoning Law, and he was a mentor for both young and old attorneys in these practice areas, considered an expert in these areas by his peers in the Will County and greater Chicago region.